Any act to recover a pre-bankruptcy claim against the debtor. If the stay is applicable, then, pending termination or relief from the stay, a secured creditor cannot foreclose, repossess, attach, levy, execute, or garnish. The stay against property of the bankruptcy estate will continue until the property is no longer property of the bankruptcy estate. For example, a bankruptcy trustee may abandon property where the property is of inconsequential value to the estate because liens against the property may exceed the value of the property. 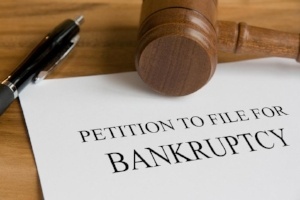 A bankruptcy discharge is granted or denied. “Cause” and Adequate Protection. A secured creditor may request relief from stay for “cause.” The bankruptcy code does not define the term “cause”, but offers “lack of adequate protection of an interest in property” as a form of “cause.” The idea here is that if the debtor wants to maintain the protection of the automatic stay, then the debtor must demonstrate that the secured creditor's interest in the property is being adequately protected. Insurance. Debtor must maintain insurance on the property, because if there's no insurance, then the property might be damaged. Depreciation. Where the collateral is personal property, particularly an automobile, the collateral will depreciate from use, lack of maintenance, or mere passage of time. Rapid depreciation in the property, without payments , will be lack of adequate protection. Taxes. If there is limited or no equity in the property, then accrual of senior liens, particularly taxes, will almost always be lack of adequate protection because the value of the secured creditor’s lien is being reduced to the extent the first priority property taxes further erode equity in the property. Lack of equity and not necessary to a reorganization. A secured creditor is entitled to stay relief where : a) there is a lack of equity in the property securing the claim because the lien exceeds the value of the property; and b) the property is not necessary for reorganization. For example, the property would not be necessary to a reorganization in a chapter 7 liquidation case. Single Asset Real Estate. The bankruptcy code has a special provision for a “Single Asset Real Estate” bankruptcy case. “Single asset real estate” is defined as a single property or project (other than residential real property with less than four residential units), which generates substantially all of debtor’s gross income and on which no substantial business is conducted other than the business of operating the real property. Has commenced monthly payments to the secured creditor. Hinder, Delay, or Defraud. In cases involving multiple bankruptcy cases or transfers of ownership of mortgaged property, if the bankruptcy court finds that the filing of the bankruptcy case was part of a scheme to hinder, delay or defraud creditors, then the mortgage holder may obtain stay relief. If you can show that, then the court terminates the automatic stay and the secured creditor is entitled to enforce their remedies against the property. 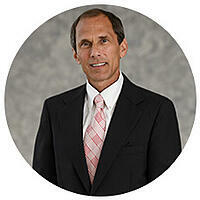 Secured creditors are not without remedies. If the interests of the secured creditor are not adequately protected or delay is otherwise unacceptable, then alternatives are available for achieving relief from the stay to permit enforcement of liens. At Fisher Rushmer, P.A. we draw upon the experience of our lawyers to offer a comprehensive approach to solving financial problems for individuals and businesses. Contact one of our bankruptcy attorneys now to find out how our skills and experience can help solve your legal matters.